There's been a resurgence of leggings as "real pants" in the past few years, forcing us to ask ourselves whether or not the body-con bottoms are a truly viable option to wear outside of the gym. With the right styling, the right attitude, and the right pair, our vote is yes. 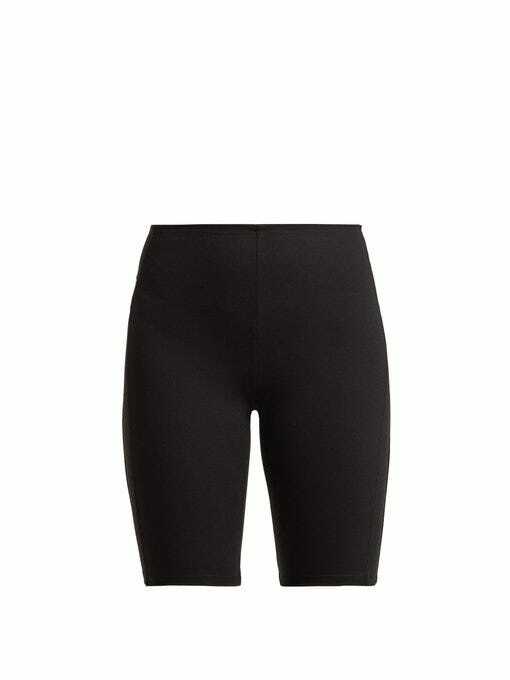 However, as spring rolls around, we're wondering the same about leggings' not-as-long counterpart: the bike short. Bike shorts caused quite the stir last summer, with fashion girls all over the world embracing the controversial trend. 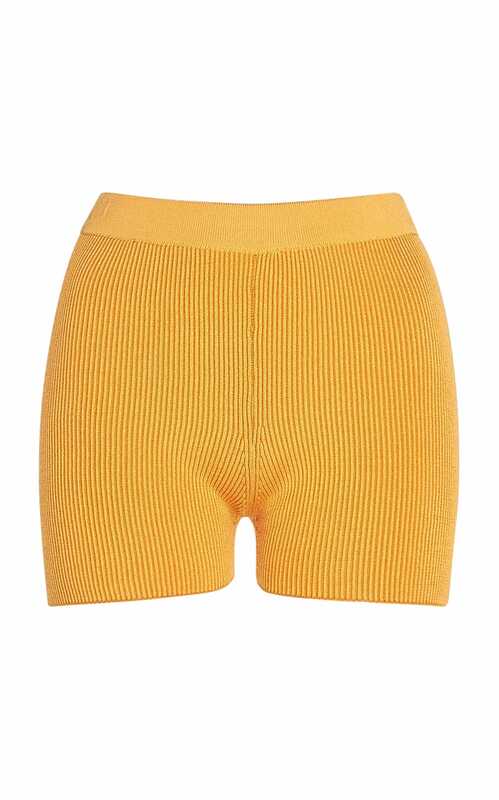 And while we weren't quite sure of their longevity, after seeing our favorite designers, from Rachel Comey to Staud, manufacturing pairs of their own, it's clear bike shorts aren't going anywhere anytime soon. So what is the trick to doing them right? Our advice: grab a pair with some length — it's more fashion-forward, and since the shorts don't go all the way down to your ankles (obviously; 'tis the nature of shorts), it makes navigating shoe selection so much easier. Leggings and heeled sandals? Most likely no. Bike shorts and heeled sandals? Kind of great. Wear with an oversized blazer, a simple hoodie or with a pretty white blouse, and you're good to go. Ahead, find our picks for taking this stretchy trend for a spin. Are you bold enough to try it out? Photo Courtesy of Sandy Liang. Photo Courtesy of Good American.